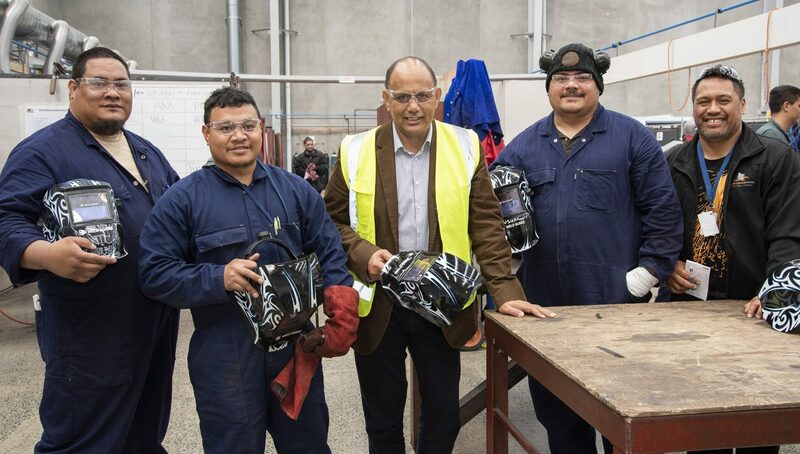 Minister of Employment Hon Willie Jackson visited South Auckland trades training school Aspire2 Trades on Monday 14 May, inspiring students to take charge of their futures. 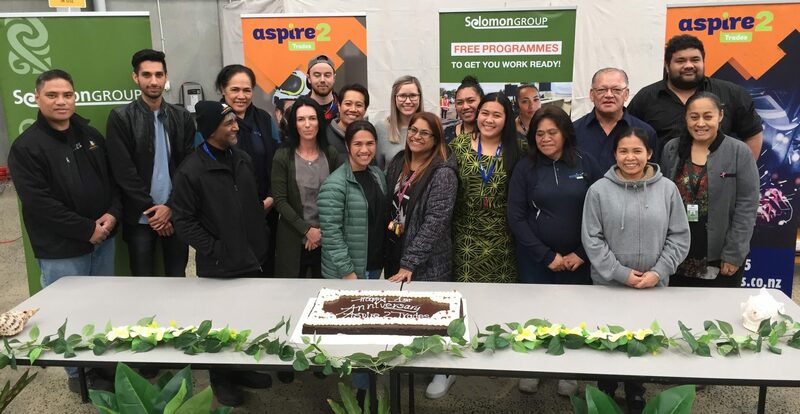 Around 80 students, staff and local iwi attended the event, which began with a powhiri and was followed by a campus tour, giving the Minister a sneak peek at the cutting-edge facilities and hands-on training offered at Aspire2 Trades. He saw students honing their practical skills in welding, forklift operation, and painting and decorating – the key programmes currently on offer at the campus. In an uplifting speech the Minister encouraged students to cultivate discipline, keep striving to reach their goals and never give up. “If you can complete this course, and carry on with your learning, New Zealand is going to be all the better for it,” he said. By enrolling at Aspire2 Trades students are taking their first steps to rewarding trades careers and will help fill the vast skills shortage currently facing the country’s construction sector. According to officials from the Ministry of Business, Innovation and Employment (MBIE), 50,000 to 60,000 more builders and related tradies will be needed by 2022 – and some of those will have started their journey in Wiri, at Aspire2 Trades. The Minister encouraged students to successfully complete their studies, get to work on time, and be good to their whanau. For many of the students, returning to the classroom to upskill was not an easy feat. Some did not find traditional success at secondary school, while others had family and financial issues to overcome. But the Minister urged students to stay motivated and strive to become leaders. To see more check out the story on Maori Television here.